London Fashion Week in numbers | HELLO! 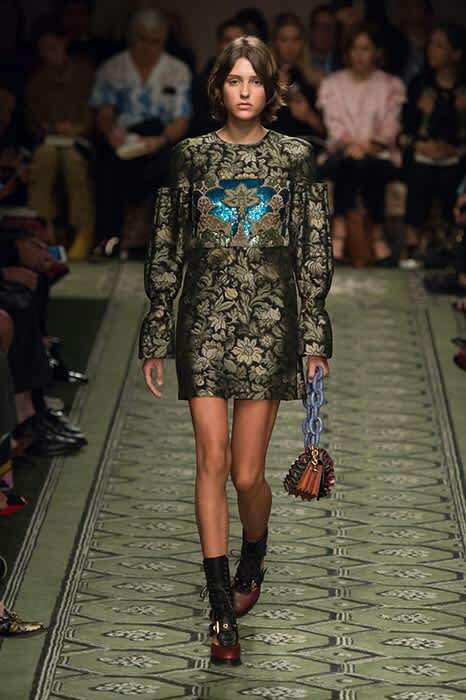 London Fashion Week has been and gone for another season, but it certainly made an impression! In just five days the event generated over 1.22 million Instagram posts and over £269million in revenue, according to new figures gathered by Stylight. The SS17 shows will be remembered for making catwalk fashion more accessible than ever before, with some 118 'See Now, Buy Now' looks featured during London Fashion Week from the likes of Burberry and Topshop Unique, amongst others. Many of Topshop's fresh-off-the-runway items have since sold out, thanks in part to the popularity of the show, which saw the likes of Olivia Palermo, Ellie Goulding and Lottie Moss all sit in the front row. The collection made an impression on social media too, with 15,604 Instagram posts shared using the #TopshopUnique. Other shows to make an impact included Charlotte Olympia, which featured 14 inflatable bananas, and Christopher Kane, where a surprising 26 pairs of Crocs were spotted.